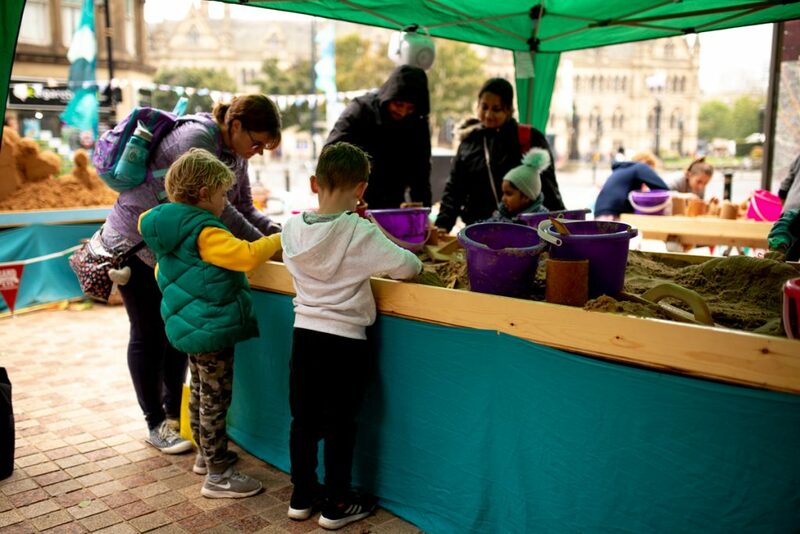 Working on beaches and making our sand sculptures outdoors like we do, we are always aware of our relationship to water. 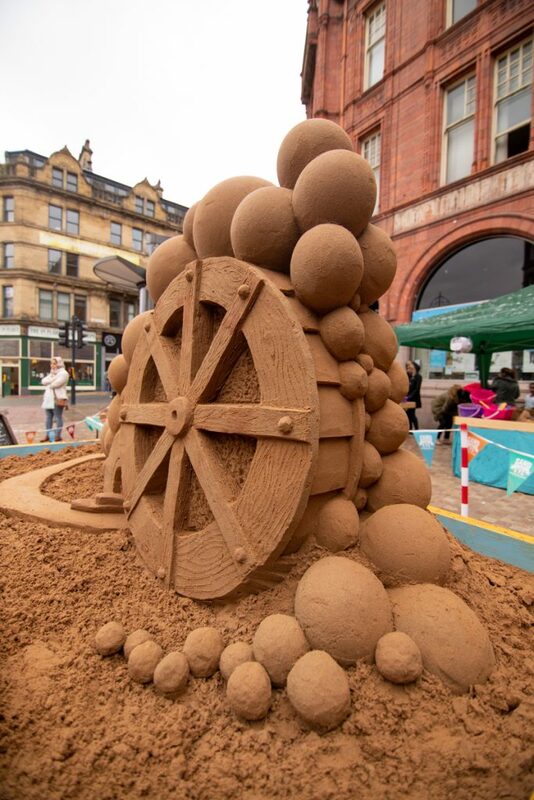 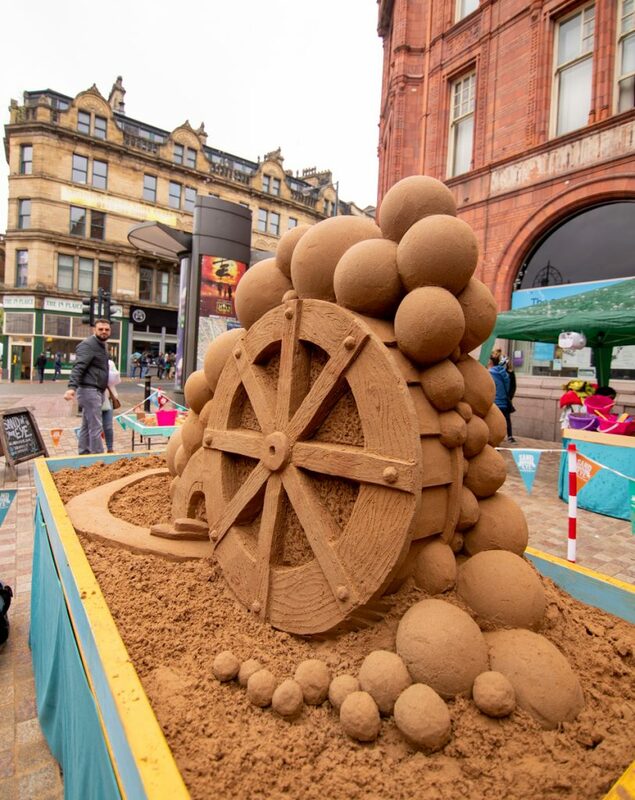 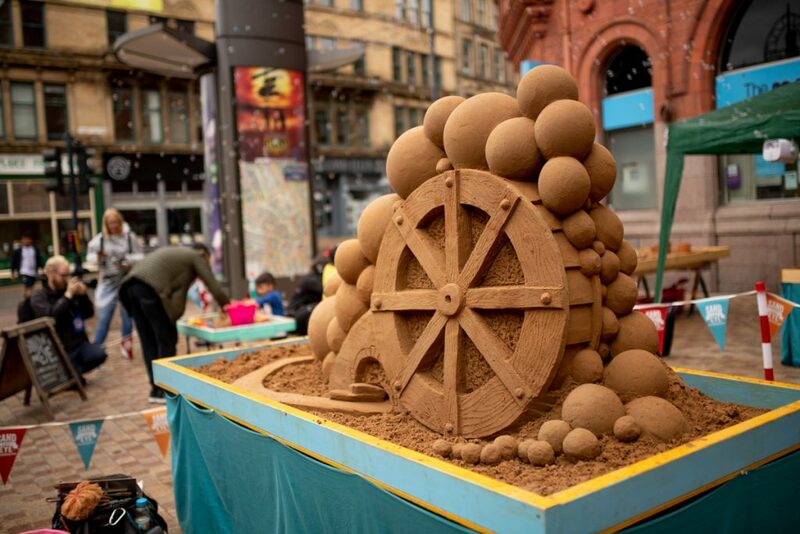 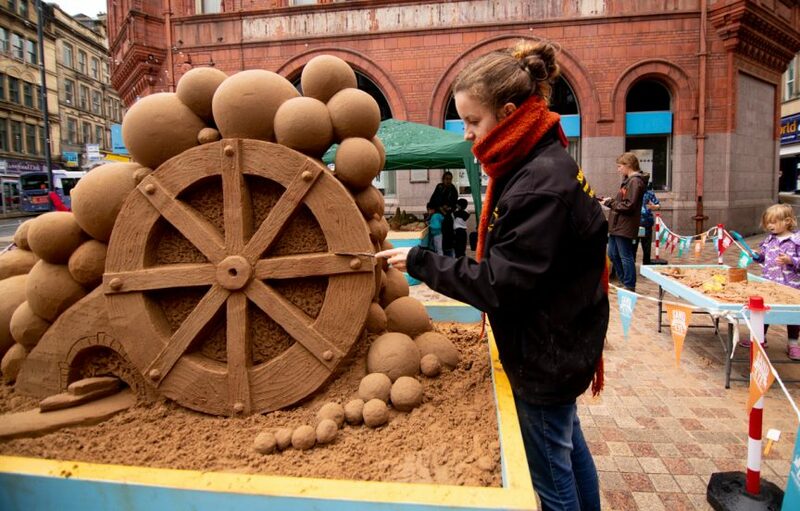 Whether it is the tide lapping at the sand art we have just created or the rain pouring down as we do our sand carving, water is an intrinsic part of our day to day life – especially living in Yorkshire! 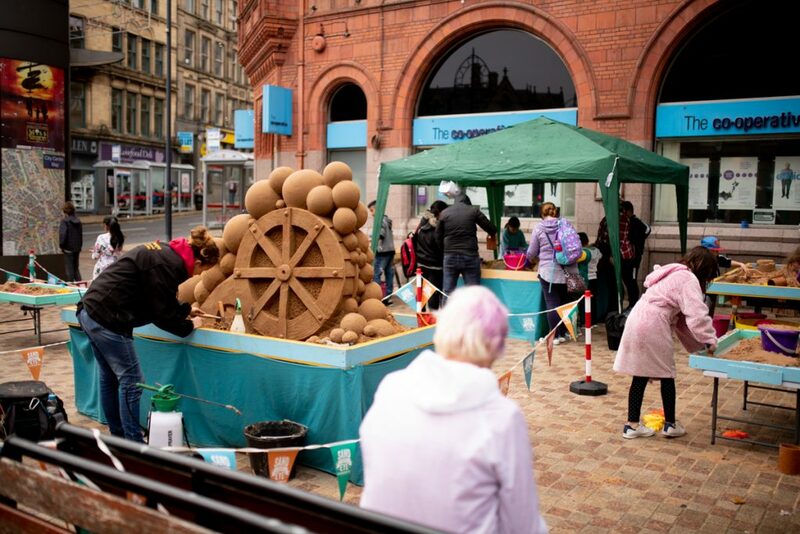 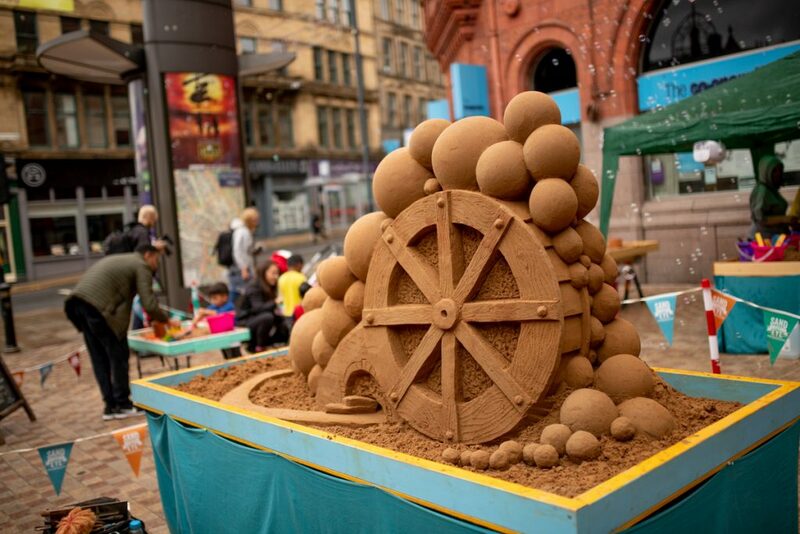 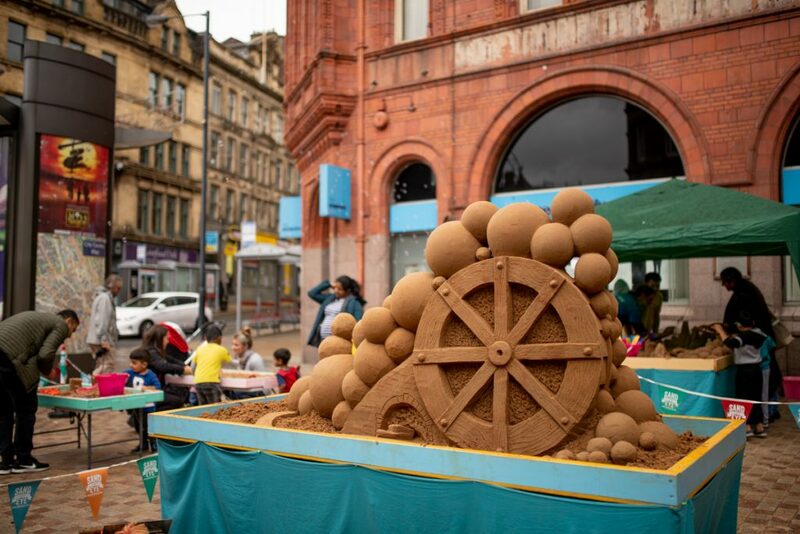 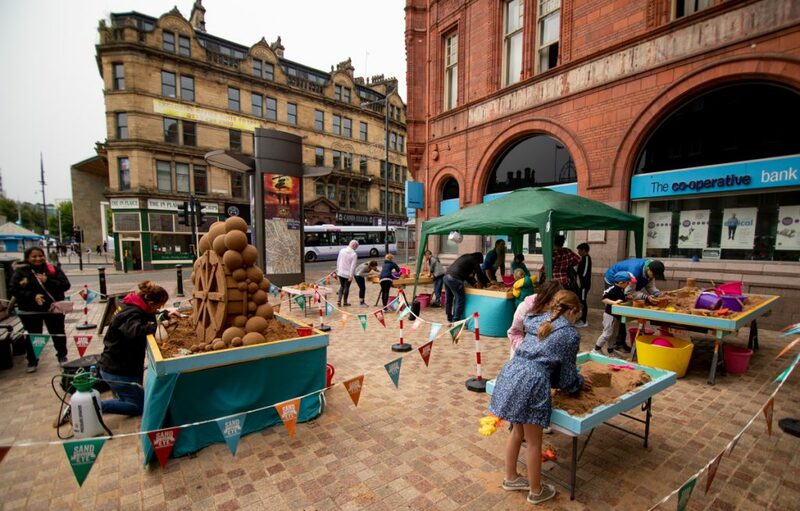 The Brick Box asked Sand In Your Eye to design and create a table top sand sculpture for Bradford Bubble Up, a water themed party to celebrate the closing of the Great Exhibition of the North. 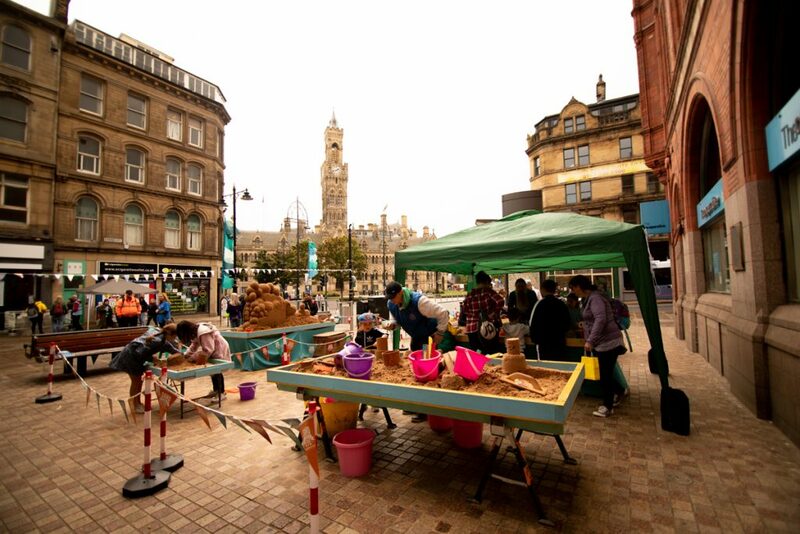 Claire Jamieson joined the mermaids, sprites and fishes for a fun filled festival exploring the watery nature of Bradford, including secret waterways and its more obvious elements. 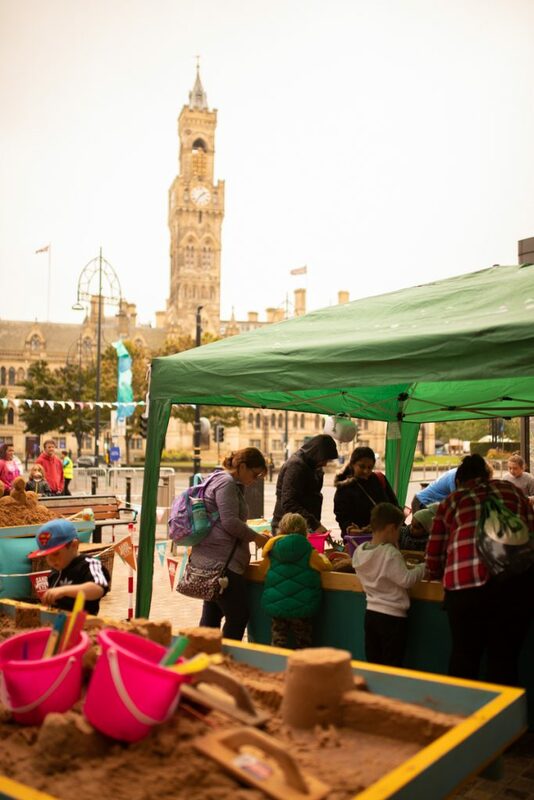 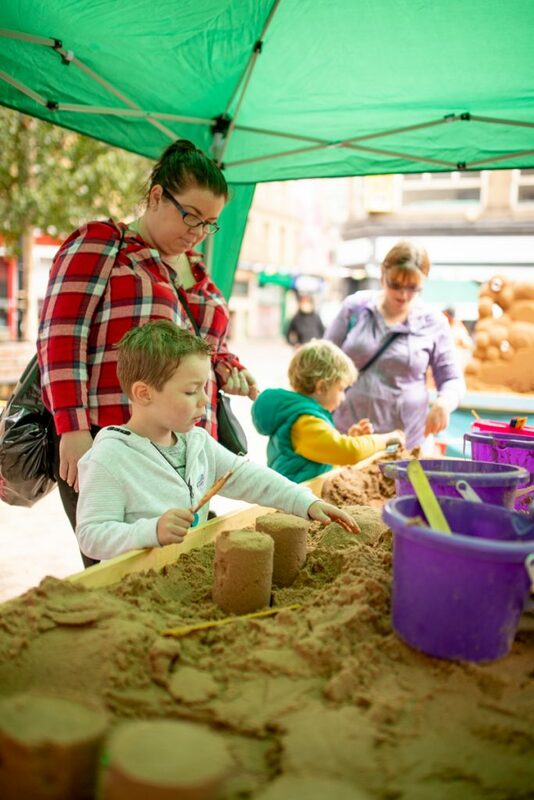 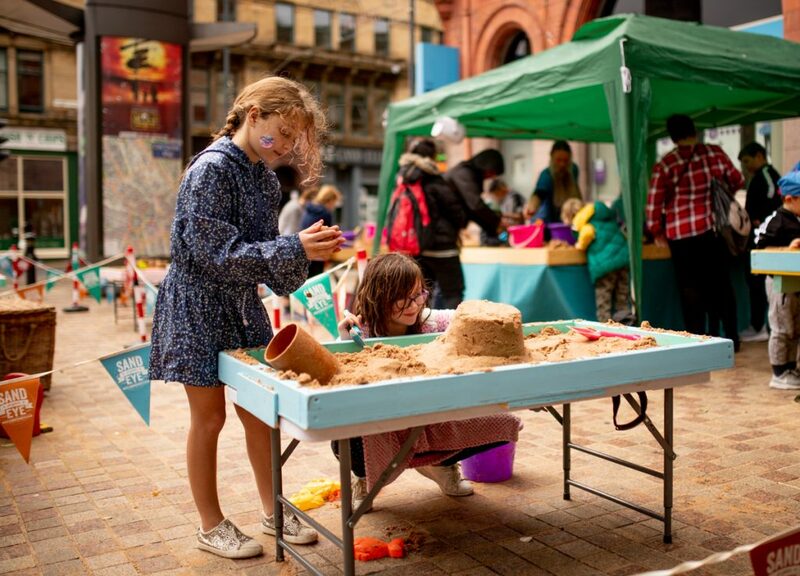 As well as our specially themed sand art and family workshops, where children and their parents could have a go at sand carving there was lots of opportunities to make bubbles, music and dance performances, a giant water slide and mermaids serving cocktails! 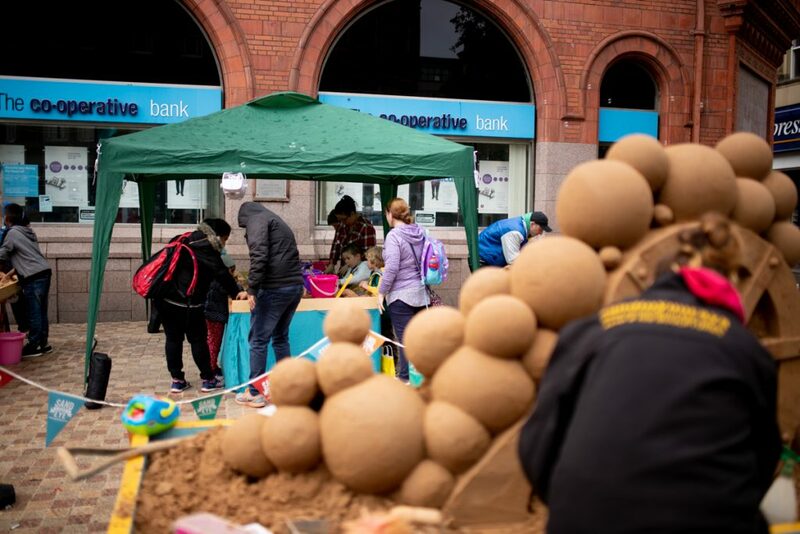 The weather did not disappoint and fitted in perfectly with the theme, but despite the rain lots of people came out for a fantastic family day out to play and it looked like everyone had a great time.